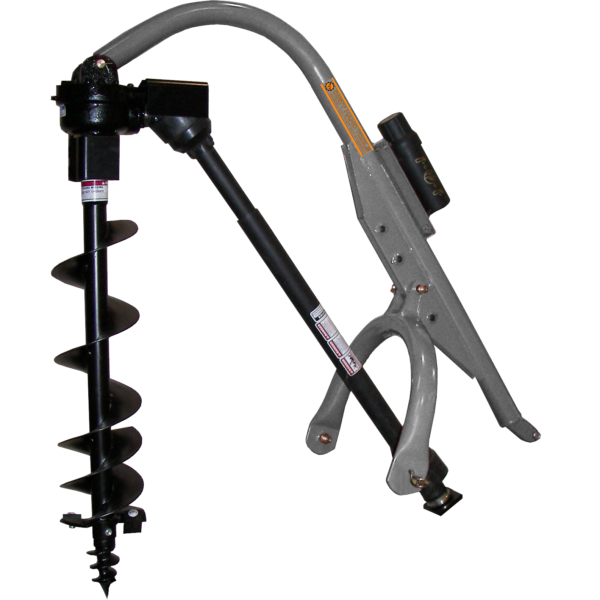 Model 100 3-point hitch post hole digger for Category 1 and 2 tractors. 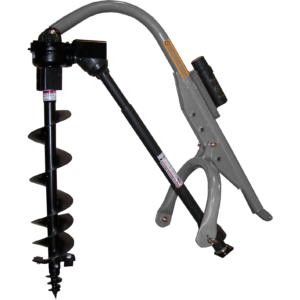 Fast post hole digging with convenient, safe operation from the tractor seat. Heavy duty gear box and driveline. Quick connect to 6 spline PTO. Standard duty rating. Carbide, replaceable cutting edge with spiral tip point included. 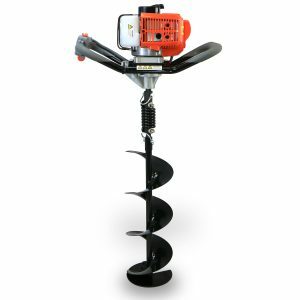 6″, 9″ and 12″ augers available. Top Link Pin Diameter: 3/4″. Lift Arm Pin Diameter: 7/8″. I bought this for the back of my John Deere 2210. Runs with power to spare with a 12″ bit. I needed a spare set of hands to connect quickly to my tractor, but it is a big piece of equipment. Love the storage canister mounted to the boom. Bought extra shear bolts and stored them in there. Haven’t needed them yet. Bought and shipped directly from Dirty Hands and found the BEST price here! Would not hesitate to buy this product or another Dirty Hands tool again. Very pleased. I’m very impressed with the overall performance. The packaging was 2nd to none! I’m running the PHD on a Kubota L4701. Here’s a picture of Dirty Hands Post Hole Digger in action! !